Please Sir! dvd box set. The complete series 1-4 and film on 10 dvd's. DELIVERED FREE IN THE UK. 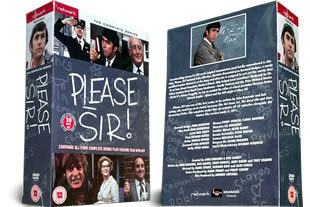 The complete collection of Please Sir! the hit tv comedy, from series 1-4 and the film made on 10 dvd's. The series ran for 55 episodes between 1968 and 1972 and was set in Fenn Street school.